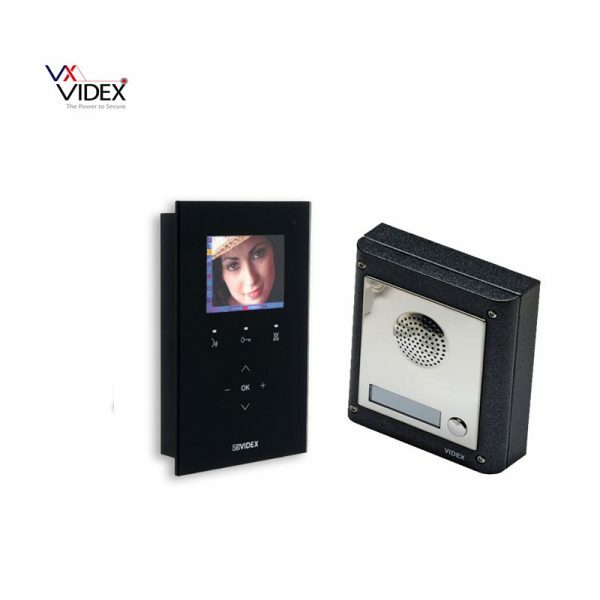 The stunning hands-free Kristallo intercom from Videx offers style and functionality in one system. The Kristallo represents a new range of audio and video door entry systems. Featuring a whole host of advanced features in a compact and elegant design. Designed to complement surrounding décor the internal panel is available in either black or white, both with a crystal smooth surface. The 3.5” LCD colour screen allows you to not only talk to but see who is at your entrance. The internal communication panel can be flush mounted in to the wall or surface mounted for easier installation. 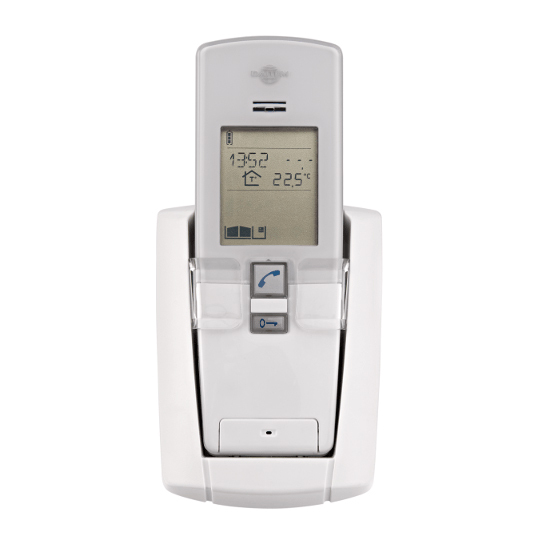 Among the features of this intercom it has a temperature sensor, touch sensitive screen, clock and on screen call progress display. The spare output on this system means that you can control an additional device such as a porch entrance or garage door from the same panel. The outdoor speech panel is surface mounted and finished in polished chrome, making it a stylish choice for your driveway or home entrance. This intercom kit comes without a code lock keypad so it is audio & video only . Choose between Black or Crytal White. 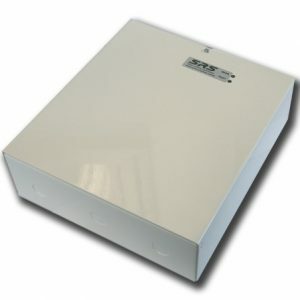 This intercom is a surface mount but flush mount versions for flush mount back box (40mm deep) for dry lined walls and back box for solid walls are also available. Please call us on 01282 677300 for more information on these options.